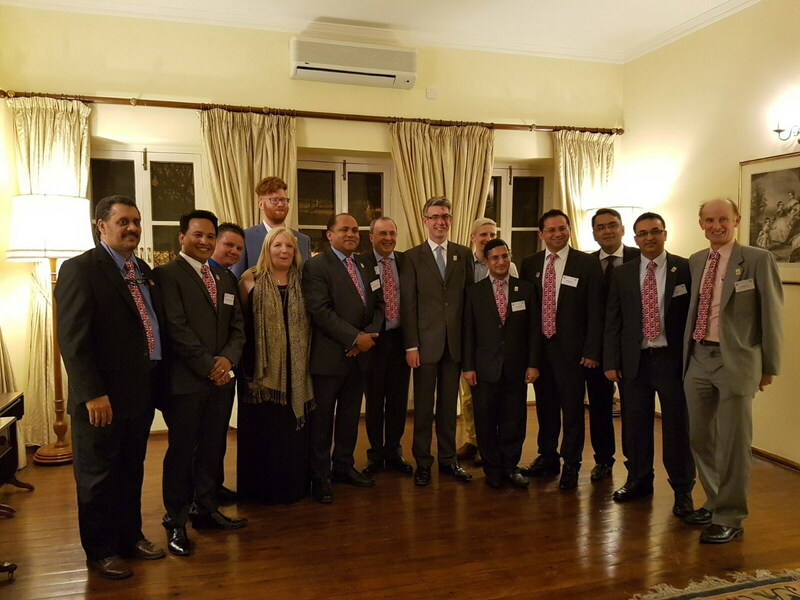 In March the Britain Nepal Chamber of Commerce (BNCC) led an historically important trade delegation to Nepal, marking the UK – Nepal bicentenary by effecting valuable introductions between businesses and creative and other sector specialists and key figures. The official reception held at the British Embassy for the delegation was a particular highlight of the visit, and the UKNFS was responsible for successfully recommending approximately 20% of the VIP guests that attended this important function. In addition to connecting up key figures in Nepal’s health and medical care sectors with relevant delegates, the UKNF through our Nepali arts programme (NIAP) connected three major Scottish creative industry businesses and organisations with key NIAP figures and senior representatives of other organisations – such as the Nepal Art Council – that we are working on through projects, with the result of new initiatives between the creative sectors of both countries being enabled. We were very pleased to connect members of the delegation with NIAP traditional & classical Nepali music lead and advisor, Sita Maiya Rajchal, enabling opportunities for her and her colleagues to bring their genius to the UK within the next 12 months. We are delighted to share news that this project, in which the UKNFS is the lead partnering organisation that has enabled the NAC to be connected up with the main British institutes and related creation and compilation of a unique and historically important set of images of works relating to Nepal held in those institutes collections and archives, has been finalised. The exhibition will take place at the end of the year in Kathmandu, and the related catalogue and information resource will be available from that point globally, enabling important educational opportunities to be available in the UK, promoting much more in depth awareness about the special relationship between the two countries and peoples, with related benefits to boosting cultural tourism. The NIAP website – www.creativenepal.co.uk – will provide more information periodically as it occurs regarding the further development of this important international project, throughout the year.